Best wishes, your insights into the game will be missed. I’ll miss having you around, Cyn. Thank you for the good times and all the help. Fair winds and following seas sir. I’ve always loved your writing. I’ll miss reading it. I hope you enjoy whatever you’re moving on to. My WoW play is the better – both more fun and more productive – because of your blogging. Thank you! And best wishes for some new fun and challenges. Thanks for all the great articles. You will be missed. Hope you are doing well and will continue to do well. Your blog has been more important than maybe you realize, and you are one of the best gaming bloggers I have seen. Thanks for writing to us, you’ll be missed! My initial reaction is “WHAT? NO!” But I’ve left (and sorta come back, but not really), so I get some of what contributes to the walking away. As long as it’s not a farewell from *everything,* I can live with it. I’ve very much enjoyed your insights into the game, and I’ll always fondly remember my adventures with the Lily gnome clones. Good luck and have fun in whatever adventures await you! I’ll be brief too. That’s not easy. You, as a gamer and blogger, have been (and will remain) an inspiration. You’ve set a really high bar for what quality blogging should look like in our neck of the e-woods. That’s a good thing. I think I heard something about how this was in response to some of Blizzard’s stupid PR statements. Hopefully some of them get their heads out of their rear ends and you decide to come back. 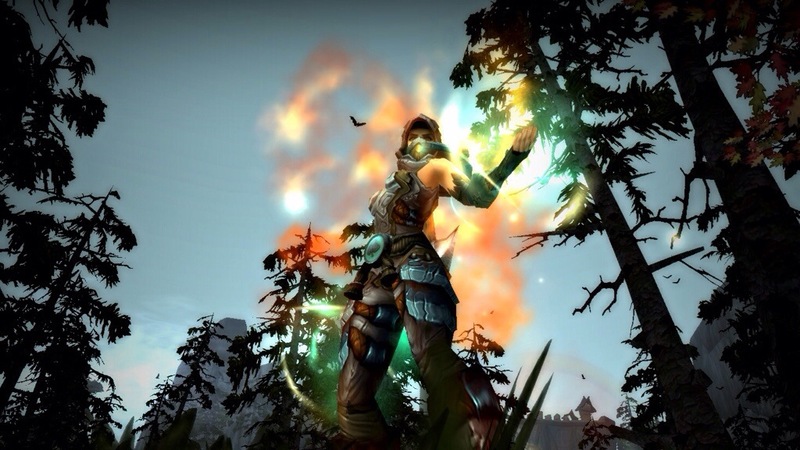 Loved your writing although I strongly disagreed with many of your premises regarding warlocks in Cata. You were insightful and I really did appreciate your obvious love of our class. There are nine new warlocks because of you, at least in my realms. Carry on sir, and point me at your enemies. May your life be milk and honey (with occasional rotten apples :)). My Warlock still has your “Basic Destruction Warlock Guide for 5.4” sitting in her inbox. It made her transition from Demo to Destro almost painless. I’ve enjoyed reading you over the years. Best of luck! Thanks Cynwise! Your content as always been appreciated and of great quality. You’ll be missed. I don’t even have words. My virtual life has been much better for knowing you. You know where to find me! Your writing which has added a depth, interest, and informed commentary to the often dry numbers we sometimes see as the game. I’ve enjoyed it and will miss it! Good luck to you in all future endeavors! Thanks for everything, possibly one of the most insightful and thought provoking Bloggers.